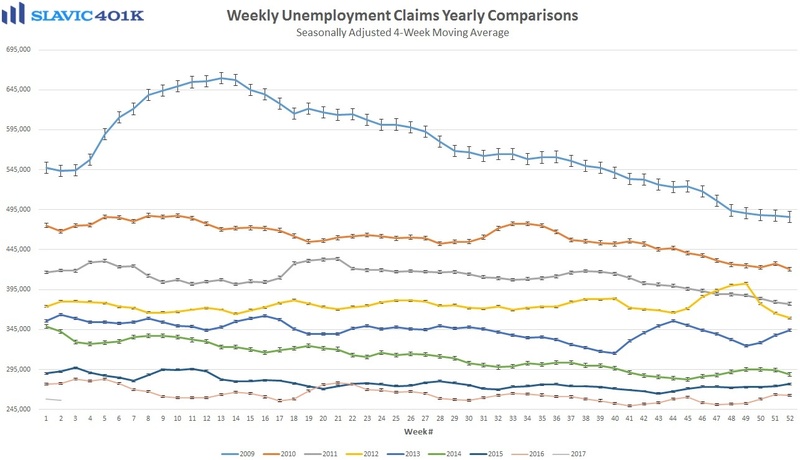 The only important economic data released this morning was a report from the U.S. Department of Labor, which showed that the number of Americans making first-time claims for unemployment benefits rose by 10K to 247K in the week ending January 7th. That was a smaller increase than economists had expected following the sharp decline in the prior week, and the 2nd-best headline reading since November. 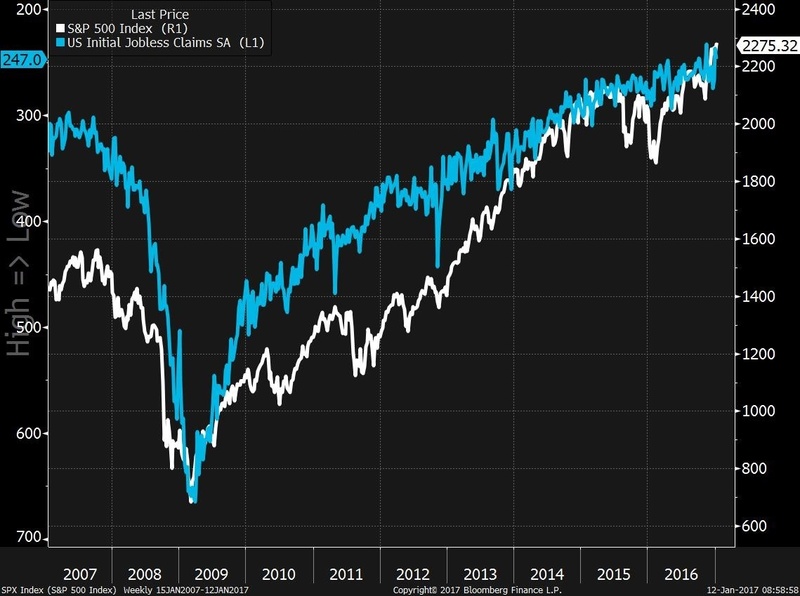 Seeing initial claims remain near multi-decade lows at the start of a new year is an encouraging sign that retailers are not in any rush to let go of workers after the holiday shopping season. Another thing likely helping suppress separations is the tightening labor market that has many businesses responding to the shortage of skilled workers by boosting their efforts to hold on to existing employees. 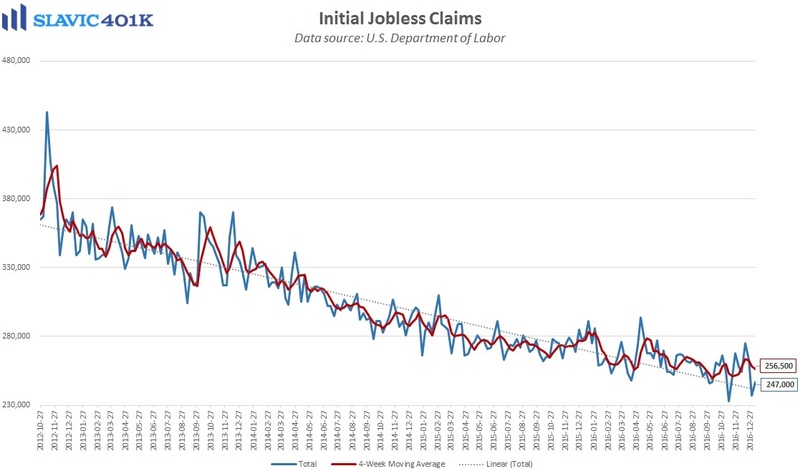 However, one negative in the report to keep an eye on is total continuing claims, i.e. Americans collecting unemployment benefits for longer than a week. 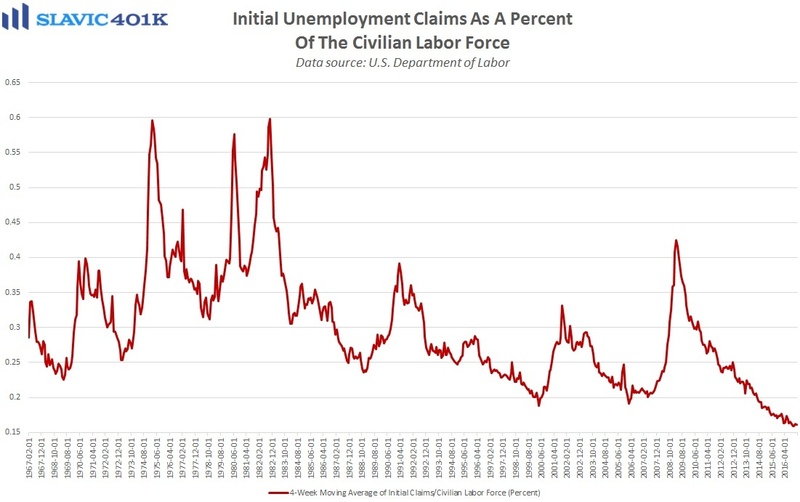 Although this metric declined slightly in the final week of 2016 (lagged), it is still roughly 100K higher than it was before the election and implies that more than 2 million Americans are receiving unemployment benefits. It is too early, though, to tell whether this is just a temporary development or the start of a new trend. 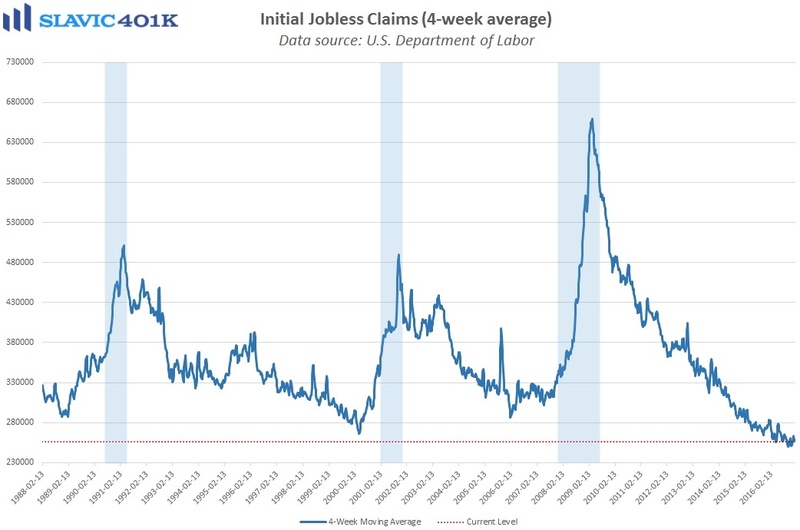 Moreover, initial jobless claims arguably provide a better indicator of where both the stock market and the entire economy are headed, and with headline claims remaining below 300K for 97 weeks in a row, there is still no clear reason for concern.